To develop a website with a unique identity for a supremely well connected start up software company to allow the Partners to present instantly and with full confidence at the highest level to some of the largest companies and organisations in the UK. 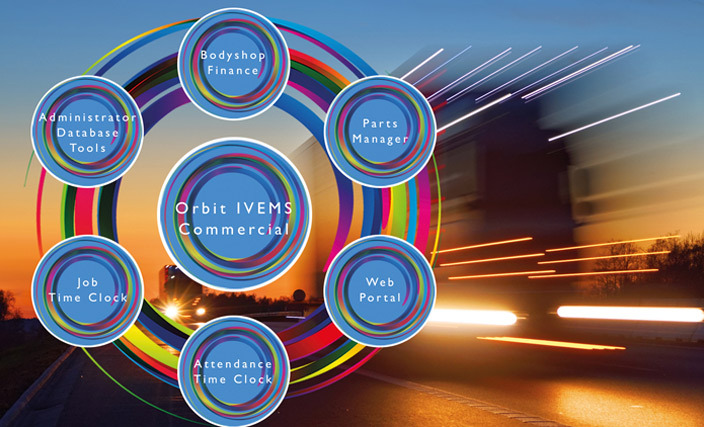 Research and testing led to a sophisticated, colourful brand solution to emphasise a highly professional, knowledgable company, with a plethora of experience in all relevant areas - software, vehicle repair, and finance. 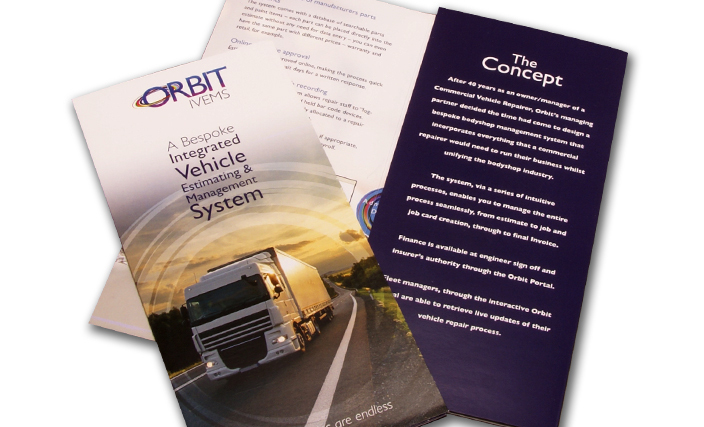 Brand positioning is already acknowledged in the industry as highly successful, and the brand has already been implemented in a number of ways and arenas, and will continue to develop as further products and services are added to the Orbit portfolio.